Redefining the Face Of Beauty : Gynecologic Cancer Awareness Month! 15 CANCER SYMPTOMS WOMEN OVERLOOK! If a female has a problem in one of these areas, then she should visit a Gynecologic Oncology specialist, which is a doctor who specializes in cancer of the women's reproductive system. Treatment for these cancers, depending on what stage the cancer is in, may involve surgery followed by chemotherapy or radiation therapy. 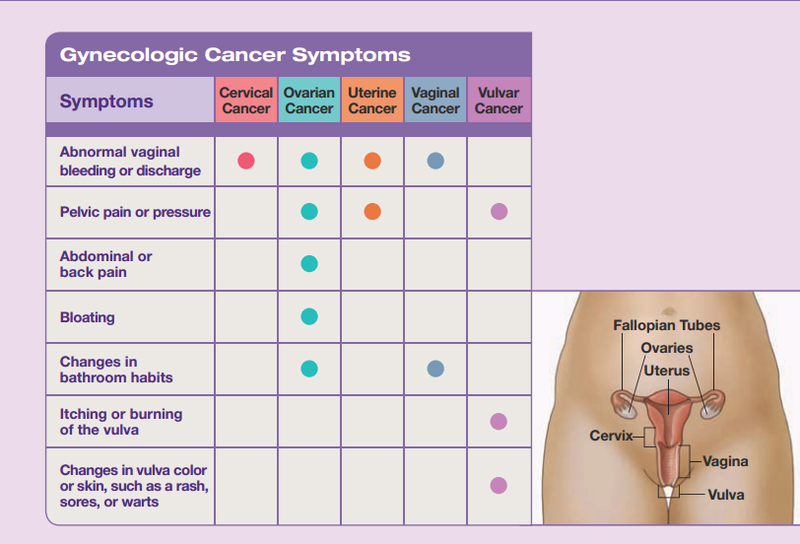 WHY GYNECOLOGIC CANCER AWARENESS MONTH MATTERS! CANCER TREATMENT & HAIRLOSS! WHERE TO FIND FREE WIGS! 10 STUNNINGLY BEAUTIFUL CANCER SURVIVORS! BEAUTY TIP WEBSITES & VIDEOS FOR CANCER PATIENTS! ONE OF THE MOST BEAUTIFUL GAL'S IN THE WORLD HAS CANCER?? BEAUTY INFORMATION FOR WOMEN WITH CANCER! CAN WEARING THE WRONG BRA CAUSE HEALTH CONCERNS? LEARN ABOUT LUNG CANCER AWARENESS! ABOUT CERVICAL CANCER! WHAT YOU NEED TO KNOW! "This then is the message which we have heard of him, and declare unto you, that God is light, and in him is no darkness at all. If we say that we have fellowship with him, and walk in darkness, we lie and do not the truth (John 1:5-6)."